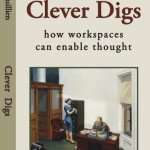 Clever Digs: How Workspaces Can Enable Thought is a comprehensive investigation into the psycho-physics of office spaces. With a formidable scope Quillien lays out her argument that how we design our spaces will shape our habits and behavior in those spaces. Imagine. What if our physical workspaces—the specific arrangements of walls and halls, sizes and shapes of rooms—were actually making us smarter or duller, enabling or disabling our individual and collective ability to think? What if a more astute crafting of professional habitats led to a greater ease in dealing with current tasks and a more adept foreshadowing of future ones? 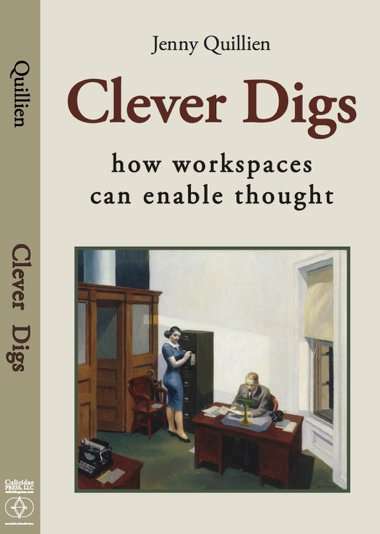 What if clever digs allowed us to learn more readily, learn from others, and help others learn? They can. This is the grand story I want to tell. Stepping back in time—not that far, actually—it is easy enough to see that, for understandable reasons, things went seriously amok during the 20th century. I need to tell that story. Further, it’s not that we simply have not yet taken the time to get ourselves out of the mess we made. We can’t get out of the mess. We can’t because we don’t have the necessary intellectual resources to do so. We are, after all, only as good as our tools. The task requires a new battery of techniques, an enriched lexicon, an appropriate framework, and practical ways of parsing the reality of working life. My grand story is fundamentally pragmatic; we need to be empiricists and try things out, but ‘there is nothing as practical as a good theory.’ Like all Sherlock Holmes tales, I must invoke a sub-plot about how investigation proceeds. My tale is not simple. I mean, really, how could this floor plan rather than that one allow us to think more effectively? Well, there’s the mystery. 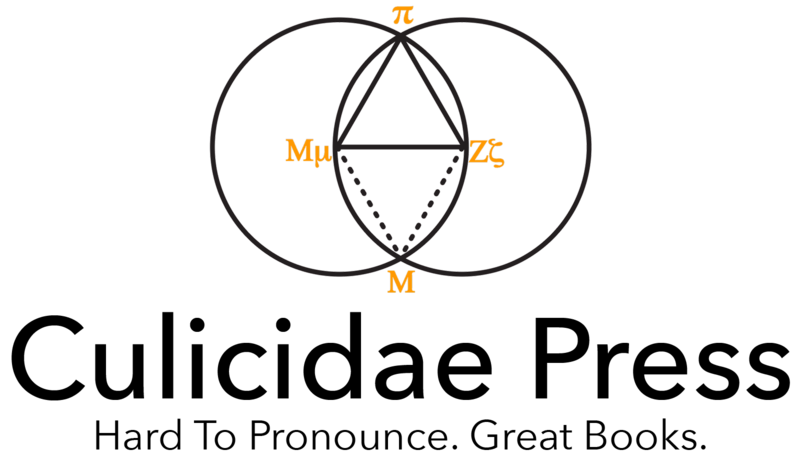 Clues come from all over the map: architects, social psychologists, philosophers, software developers (imagine that! ), scientists, phenomenologists, journalists, biologists, mathematicians, linguists, anthropologists, logicians, and cognitive psychologists. Good design might be defined as harmony between structure and function, and to get there an amalgamation of perspectives is required. Working with so many disciplines brings its own rewards and challenges. None of these fields hits our topic head on; all of them dance around the edges. Each has its own way of talking, so we have to cope with a vocabulary glut, picking and choosing from their words, and sometimes making up our own. Their commonalities are instructive, as are their differences: how they limelight or shadow the phenomenon we’re interested in. We hang out in the interstices. Then there’s the unfinished story of the future. There is no simple, well-defined future ahead, so skip Le Corbusier with New Age tinkling chimes in the background. The future calls for designs that can handle contradictions and unfold in unexpected ways. Heuristics, not prescriptions, are called for. Jenny Quillien is a Professor of Management with New Mexico Highlands University. She can be reached at jquillien@cybermesa.com or by phone at 1 505 983 7129. Special pricing available for students and faculty with .edu email addresses. Go to our online store to order the book, then enter an .edu email under billing information and at the Checkout panel enter CPRESSEDU20 by clicking on the Add promotional discount. We will verify all .edu addresses. Alternatively, if you work for a library or a bookstore, use the code QUILLIENLIB50 to buy the book at 50% off of the retail price. Again, we’ll verify the origin of each purchase. You can also order directly from Amazon at the normal retail price.